This hour and a half tour takes place at dusk, as London's bats are coming out to play. 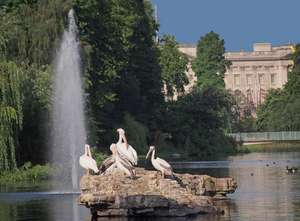 Be guided through Kensington Gardens and Hyde Park at night to search for bat species such as common pipistrelles, soprano pipistrelles and noctules. Play a fun quiz to separate bat facts from bat fiction and enjoy using bat detectors that make the bats' echo-location calls audible to the human ear. Bats are not the only creatures out at night - owl calls may add to the evening's atmosphere and perhaps a curious fox will cross our path as well! This event is suitable for over 18's only.